But, sometimes I cave, like with these muffins. 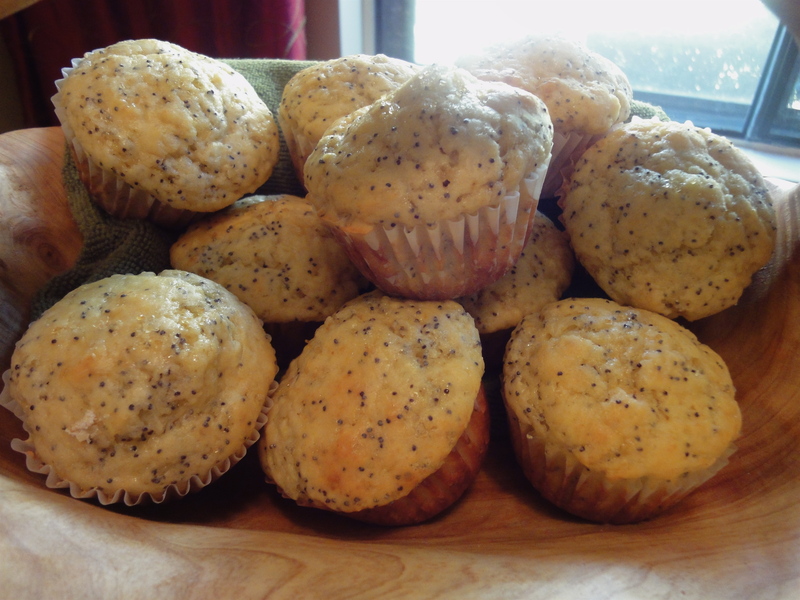 I absolutely love lemon poppy seed muffins. I got a craving for them the other day, so I tried to find a recipe low in fat. I discovered this recipe from A Bicycle for Two. I adapted it a smidge based on things that I had on hand. 1/3 c. raw sugar plus 1 tbsp. Preheat the oven to 375 degrees. Prepare a muffin tin with muffin liners or grease each cup. In a mixing bowl, combine the lemon zest and juice with the sugar. Add in the flour, baking powder, baking soda, and salt. Whisk to combine. In another bowl, combine the yogurt, egg, oil, and milk. Combine the wet into the dry ingredients. 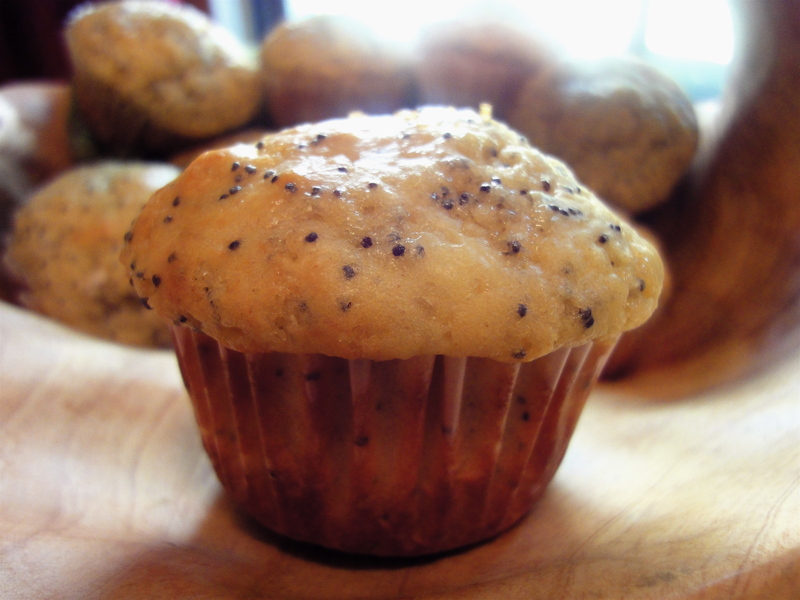 Stir until just combined, then add the poppy seeds. Using a ¼ cup measuring cup, dip up the batter into the cups. Bake about 14 minutes, until light browned and a toothpick comes out clean. Allow to cool and eat up!